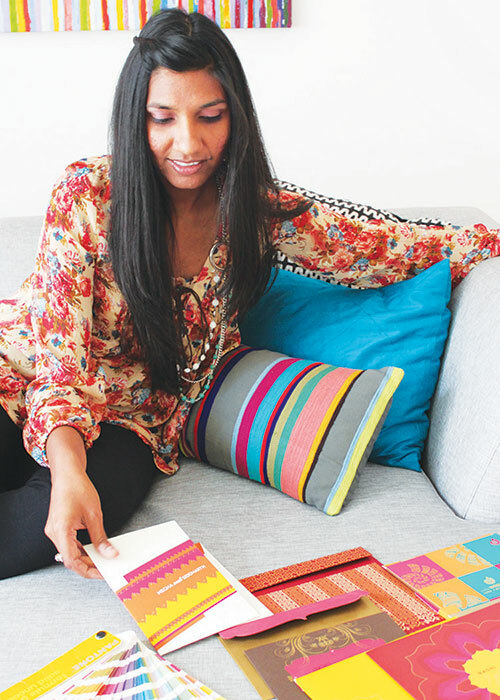 Graphic artist Sindoor Shah’s avant-garde invites are just what the modern couple needs. The Philadelphia-based designer uses the couple’s story and weaves it into the invitation card. “I collect notes on how they met, what they like, how they are unique and use it to create unusual wordings for the card,” says the 29-year-old artist. Bright and contrasting colours, delicate designs and witty phrases are what her brand stands for. “I have a representative in Mumbai who takes my orders and sets up client meetings,” says Sindoor. Personalised touches such as selection of papers, drawing the designs, wording for the text is added by Sindoor herself. Her sense of aesthetics is welcomed by Indians as it is a clever mix of traditional and modern elements. Recently for an invite for a destination wedding in Goa, she used prints of shells and corals and detailed it with a delicate henna design. She also creates elegant stickers, wedding logos, table cards, gift bags, envelopes, letterheads and other stationery a wedding would need.